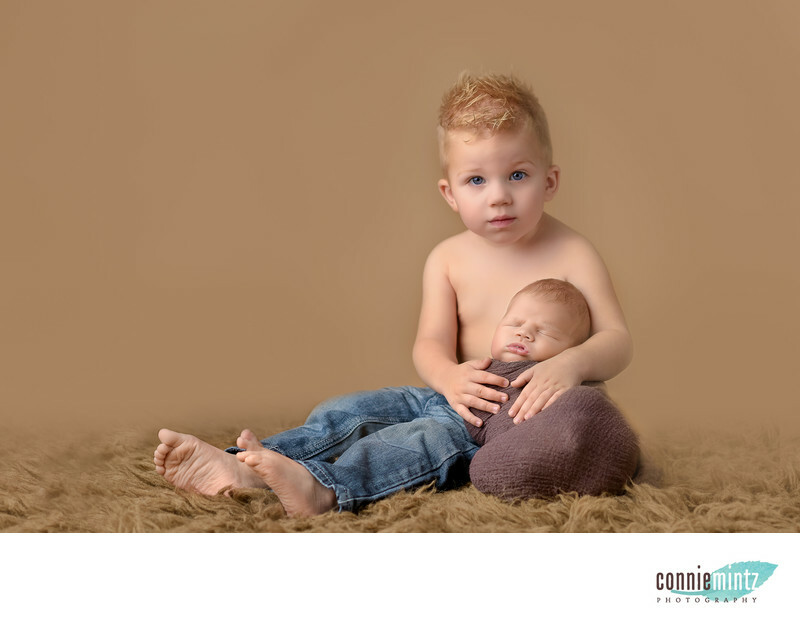 A two year old and 8 days old newborn in the studio at Connie Mintz Photography. Two year old was shy and hesitant to sit with newborn brother. We captured this tender expression that I'm sure the family will enjoy looking at for years! In fact, they had a 24x36 canvas made with this image. This image uses Savage backdrop Chestnut color paper and flakati rug. Even though it was a challenge for the two year old, I think the image is precious.The family has since moved away from Vancouver Washington. The canvas will remind them of the place where their boys were born! 1/160; f/2.8; ISO 64; 85.0 mm.